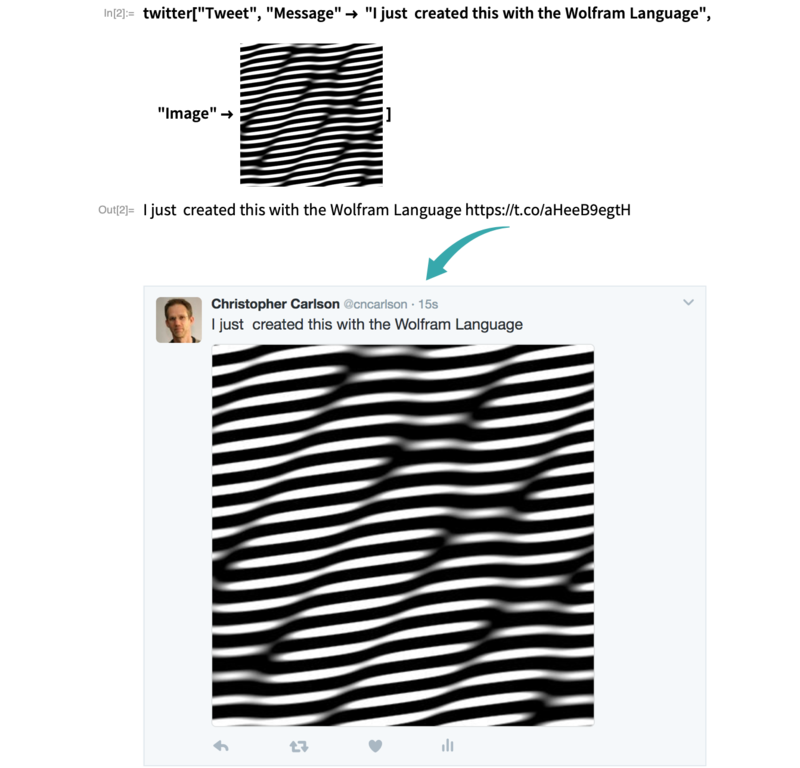 Send messages to social media from the Wolfram Language. If you are already logged on to Twitter, you will only need to click the Authorize button. 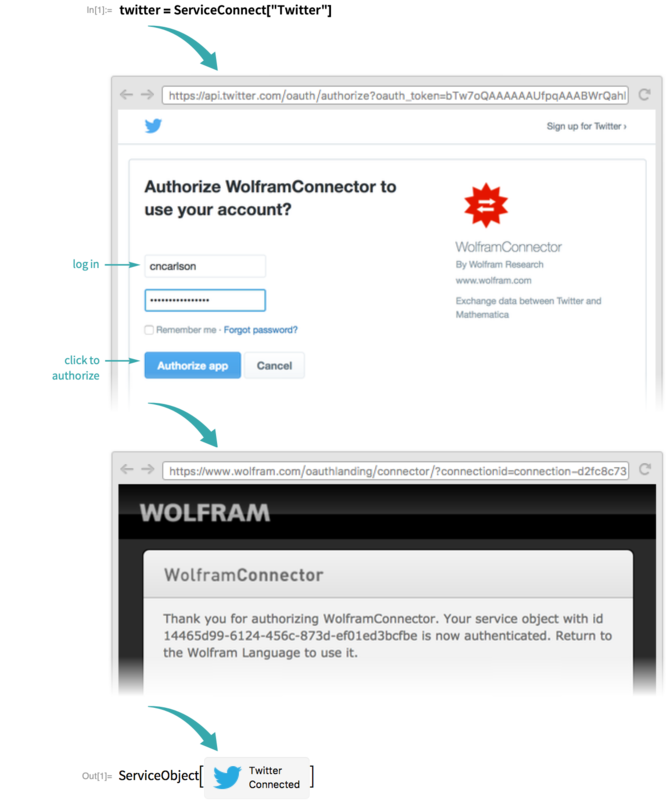 The Wolfram Language supports connections to a variety of services. See Listing of Supported External Services for a complete list.